Sunset Ranch is pleased to announce that we’re now working with a well known local Chef to provide exceptional food at a very reasonable cost. While clients are welcome to bring in the caterer of their choice for Events at Sunset Ranch; we offer these menus in the spirit of helping clients maximize the value of their event budgets. From fundraising events to corporate and non-profit retreats, and Hawaiian luaus, weddings, birthday parties and other local gatherings, these menus are available for any occassion. 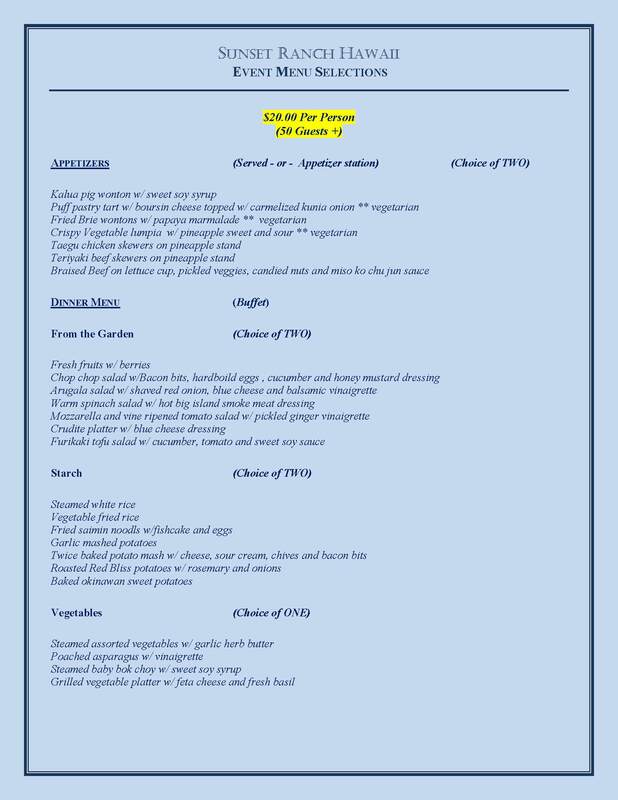 We have menus priced at $18 per head, $20 per head, $30 per head and $50 per head. 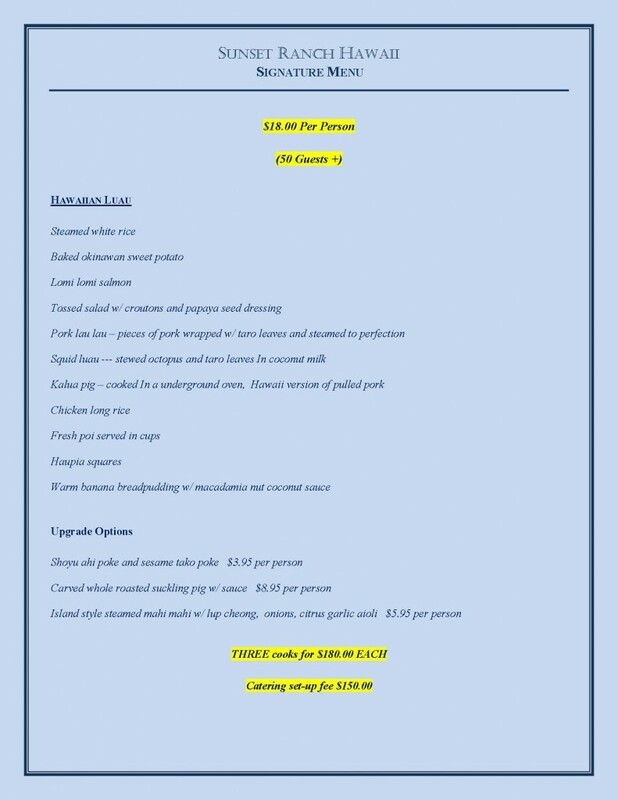 Below please find the details of our Signature Menu: Hawaiian Luau at $18 per head. You can find the details of our other menus here. We’re confident that these menus will provide the best value on the island for our clients. Please e-mail us at [email protected] or call us at (808)638-8333 for more information. Mahalo nui loa!